Thank you to Hanover Square Press and TLC Book Tours for this stop on the tour! 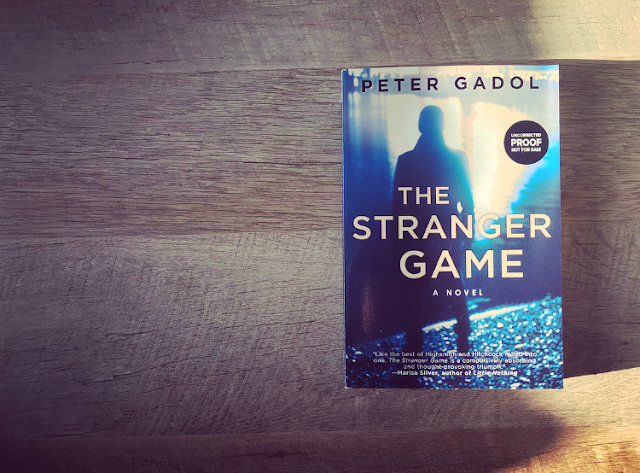 A thought-provoking, haunting novel, The Stranger Gameunearths the connections, both imagined and real, that we build with the people around us in the physical and digital world, and where the boundaries blur between them. 1. Choose your subjects at random. 3. Never follow the same stranger twice. Rules are made to be broken and games are made to evolve. In this world of game play, the littlest thing can take on a life of its own. Peter brings us a world in which stalking becomes a game, which turns into oh so much more. Rebecca is a lonely woman who lacks friends, is obsessed with her relationship with Ezra and JUST WANTS TO BE IN A RELATIONSHIP ALREADY. **sigh** Ezra is in and out of Rebecca's life and just ups and disappears one day with no goodbye, no hint as to where he has gone and Rebecca dives into this game she thinks Ezra is playing. Ultimately you have no idea who you can or who you cannot trust. You have no idea just how convoluted this game has become and who is a player and who isn't. STRONG PREMISE. Society can take a meme that eventually takes on a life of it's own and cause murder - who is to say that this type of game couldn't actually happen. After all, the hardest target to "hunt" are humans, right? I did find that this ran quite slow. Minimal dialogue in the beginning and we are stuck in Rebecca's lonely world which for me became extremely tiresome. I don't even how these characters even sustain any type of life outside of this obsession. Pages would lull and the slow movement of this suspense novel didn't quite work for me. I'm unsure if it's just in the writing style that didn't quite fit or the execution that landed in a bit of a let down ending. However, I did thoroughly enjoy the premise of this novel and the almost sheep mentality that lends itself to people these days... 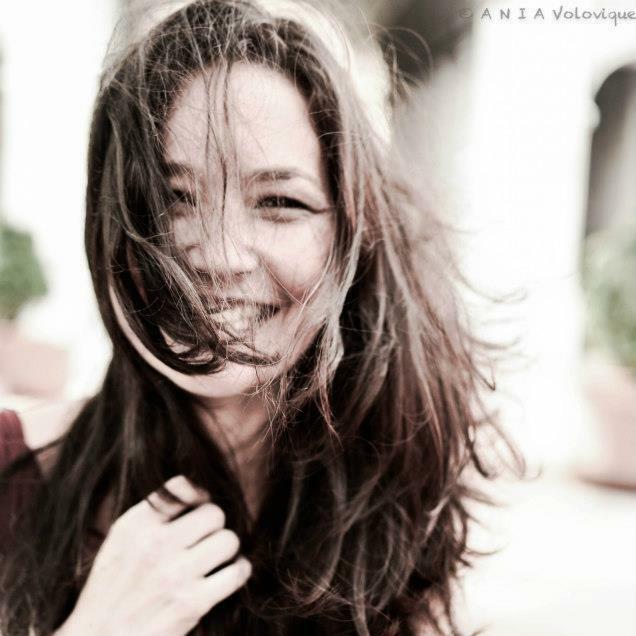 I've certainly spent time alone in a bar or coffee shop and have looked around giving people their own stories... I've just never had the urge to follow them to see where else they would go in life... maybe I will now though *wink*. Fairly certain I'm going to be wondering if the people around me are potentially stalking me or playing some weird game from now on. Who doesn't love people watching? Let's be real here, we've all had our moments where some stranger catches our eye and you wonder what they do or what their lives are like. Or you completely fabric and guess to match them. I do this frequently when I'm out at Mall of America - one of the best places to people watch. Seems simple enough, right? Well, Rebecca plays this game and frequently finds herself making exceptions lately. To many, this is a fun game and almost cat-and-mouse to see if you won't get noticed as you follow someone. To the police it's glorified stalking and has been causing them a lot of problems. When Rebecca's on-again-off-again boyfriend, Ezra, goes missing she dives in headfirst to this game that he created. By finding the original article he wrote about it she is convinced that he is playing this game, which is why he disappeared. I loved this premise. It's unique and entirely possible - I've done it (without the whole following and stalking part) and I'm sure people have done it when they see me walking around. The minimal dialogue was odd and there were parts where it began to slow down, but didn't completely lose me. Overall, I would still recommend this to those that find this concept intriguing and I will keep an eye out for more from Gadol. Peter Gadol grew up in Westfield, New Jersey and was graduated from Harvard College in 1986. While at Harvard, he studied writing with Seamus Heaney, wrote a thesis on Wallace Stevens under the supervision of Helen Vendler, edited the literary magazine The Harvard Advocate, and was for two years a fiction intern at The Atlantic. Closer to the Sun, published by Picador USA in 1996, was inspired by Gadol’s move to Los Angeles and tells the story of a young couple who, after having lost their home in a canyon wildfire, enlist the help of a drifter to rebuild the house themselves, the drifter himself overcoming the loss of a lover to AIDS. In The Long Rain (Picador USA, 1997), Gadol returned to California, this time wine country, to write a literary thriller about a lawyer who defends a man wrongly accused of committing a crime the lawyer himself committed. The novel was nominated for a prize from PEN Center USA. It is currently being developed as a television series by MGM Studios. Gadol's sixth novel Silver Lake was published by Tyrus Books in September 2009. Silver Lake is about two architects, two men turning forty who have been involved professionally and personally for twenty years, and who are beginning to see their practice and their marriage falter. One day, a peculiar young man drifts into their storefront office claiming he has car trouble, asking to use the phone. The men get to talking; the young stranger is curious but enchanting, and one of the architects ends up playing tennis with him that afternoon, ultimately inviting him home for dinner. The ensuing evening involves a lot of wine and banter and then increasingly dark conversation, and when the stranger has had too much to drink, the two men insist he sleep in their guest room. During the night, the stranger commits an act of violence which shatters the architects' ordered lives, each man in his own way over the days and months that follow coping with blossoming doubt and corrosive secrets. Silver Lake was nominated for awards from Lambda Literary and the Southern California Independent Booksellers Association. The novel is being adapted into a feature film. The Stranger Game, a novel about a woman who is drawn into a dangerous game following random strangers, was published on October 2nd by Hanover Square Press, an imprint of HarperCollins. 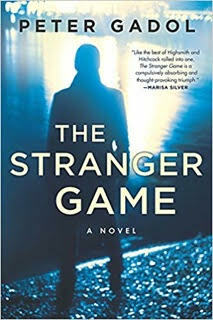 The reviewer for Kirkus called the book a “beautiful, thoughtful meditation on the invisible ties that bind us—even to strangers.” The Stranger Game has been optioned by FX to be developed as a television series. 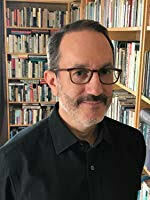 Peter Gadol’s work has been translated into several languages, and his short fiction has appeared in Tin House, Story, Bloom, the Los Angeles Review of Books Quarterly Review, and StoryQuarterly. He has taught at the California Institute of the arts and, since 2005, at Otis College of Art and Design, where he is Chair of MFA Writing. He lives in Los Angeles.